On Saturday 24th January, the DREAM students and their teacher and foster home manager, Ms. Ma, took a day trip to the Aircraft Maintenance and Engineering Corporation (AMECO Beijing). AMECO Beijing is a joint venture between China’s largest airline, Air China, and the German airline, Lufthansa. It provides maintenance, repair, and overhaul services for airframe, engines, and components of commercial aircrafts and offers training, engineering, and logistics assistance. It services Air China’s entire fleet of aeroplanes and, in addition, works with almost one hundred other domestic and international carriers! If you want to learn anything about the function and design of an aircraft, AMECO Beijing is definitely the place to be! 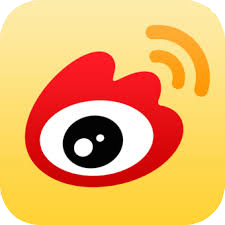 The trip for the DREAM students was extremely special - AMECO Beijing is usually not open to the public for viewings, but Ms. Ma had been able to arrange a trip for the DREAM students when she introduced the DREAM program to an employee at the company! What made it even more exciting was that five of the DREAM students had never travelled by aeroplane before, so for them this was their first ever experience seeing an aeroplane! This trip, however, included far more than just sitting inside the economy class seats of the plane - the students were also able to explore the business class sections and were even given a tour of the cockpit of a Boeing 747! As they were shown around by an AMECO employee, the DREAM students’ reactions were priceless. Mary, a nineteen year-old DREAM student from Hubei, said she felt completely exhilarated and that she just wanted to be able to fly – whether in a plane or by herself! When William, a nineteen year-old DREAM student from Yunnan, sat in the cockpit of the Boeing 747 and looked out over the front of the plane, he said like he actually felt he was flying the plane! Olive, a seventeen year-old DREAM student from Sichuan, said she was overwhelmed by the sheer number of buttons in the cockpit and how many tiny, intricate parts it took to control such an enormous plane. Vanessa, a nineteen year-old DREAM student from Shanxi, said she couldn’t wait for the opportunity to one day be able to travel by aeroplane! Ms. Ma accompanied the students as they gazed in wonder at the aeroplanes, whispered excitedly to each other about the business class seats, and dared each other to be the one to lead the way into the cockpit. She smiled at the expressions of amazement on their faces and the laughter in the air and felt a sense of contentment that these students were able to experience this as a result of her own efforts. It was moments like this that made working at ABC so worthwhile. DREAM students spend a wonderful day at AMECO Beijing! DREAM students explore aeroplanes of all shapes and sizes at AMECO Beijing! On the evening of December 20th, ABC International held its DREAM Christmas party at Picture My Cup Café, a quaint photography themed café in Wangjing, North-East Beijing. For many DREAM students, this was their very first Christmas, so ABC threw a special Christmas party to celebrate with staff, friends, and volunteers. The night before the event, the foster homes and the cafe were hives of activity as Ma Laoshi and the DREAM students prepared dumplings, vegetable and meat dishes and the café prepared a variety of Mexican and American food. Afterwards, the DREAM students decorated the Christmas tree and the café with fairy lights and tinsel and prepared for the live entertainment they would be providing their guests in less than 24 hours. On the evening itself, the DREAM students sat at the entrance of the café adorned with Santa hats and welcomed the guests as they entered, received their nametags, and helped themselves to plates of dumplings, vegetables, grilled cheese and cups of delicious tomato soup. The limelight was then on the DREAM students, who anxiously waited in line to introduce themselves in English before the audience. This was the perfect opportunity for them to demonstrate how much their English has improved during their time at ABC. Students described their hometowns, gave details about their favorite hobbies and wished the audience a Merry Christmas. Through these introductions, the audience was able to learn about each student’s personality, background and goals. Olive gave a detailed description of her interests and explained to the audience how she aims to become a translator and so she is working hard to improve her English. William gave a vivid description of his hometown in Yunnan and managed to convince half the audience that they should visit! Following this, the boys sang a song together about friendship and their hometowns and then the whole group sang a song together about love. The audience applauded enthusiastically and there were calls of “Encore! Encore!” William responded by offering to sing a solo! He bravely stood before the whole audience and sung a traditional song from his minority group, the Li Su minority group. The whole group then performed a famous Chinese drama sketch, Tang Bohu, where Vanessa took the lead role as the man who has fallen in love with Qiu Xiang, who was played by Linda. The DREAM students added their own modern jokes, which made the Tang Dynasty sketch even more amusing and had the audience in fits of laughter. This was the first time many of the DREAM students had performed in front of an audience, and most said they found it really exhilarating, even if they’d been quite nervous! The projector screen then slowly rose to reveal two tables stacked with presents of all shapes and sizes. Everyone then played “Pass the snowman”, where a cuddly toy snowman was passed around the room in time with the music. When the music stopped, whoever was holding the snowman got the chance to pick a present, and there were cheers around the room as each guest unwrapped a present. A variety of handcreams, scarves, lip-balms, laundry baskets, gloves, and picture frames were excitedly unwrapped and swapped until all guests had a present they were happy with. Everyone then participated in a memory game, where participants were divided into two teams – the Santa team (those with Santa hats) and the non-Santa team – and given new names for the duration of the game. The aim of the game was for each team to get six members into the “hot seats” through remembering everyone’s new name and reorganizing their positions accordingly. The game became increasingly competitive as the students began to associate faces with their new names. Shouts of “Ma Laoshi! Charles!” and “Jiang Anming!” filled the air. Much to the mock fury of the non-Santa team, the Santa team finally managed to get six participants into the “hot seats,” and those winners were rewarded with prizes of Calvin Klein wallets, Polo-shirts and Cosmetics. The evening ended with a group photo, with many participants still wearing their Santa hats and with Jiang Anming posing at the front of the photo. Overall, the DREAM students agreed it had been a wonderful way to spend their first Christmas. They had shared presents, eaten a variety of delicious food, played games and had the opportunity to perform in English and Chinese in front of an audience. But most importantly, they had celebrated their very first Christmas with fellow DREAM students, their teachers and their friends. On December 6th, there was a sense of excitement in the air as 76 basketball students from our TALENT program arrived in buses at the gates of the China National Film Museum. Eagerly waiting to meet them was a bus of volunteers from Sinopec Engineering Incorporation and their leader for the day, Charles. Everyone gathered at the entrance of the museum to be welcomed by seven of ABC’s most dedicated TALENT volunteers and all of ABC’s staff and DREAM students. As the long lines of students filed into the museum, they stared in wonder at the impressive and modern exterior of the museum and chatted excitedly about what they might find inside. In the entrance, everyone received a personalized nametag, and each student was matched with a volunteer and presented with an interactive quiz to complete together. All participants then paired up and explored the different rooms of the museum to find out more about the fascinating history of Chinese film and to complete their quizzes. After an hour of exploring, everyone entered the cinema to watch “Interstellar,” the latest science fiction film. Students and volunteers alike were engrossed in the film and couldn’t believe they were watching it on the largest screen in Asia! One student from Qinghonglan informed us that this was her first trip to the cinema, and she couldn’t wait to go home and tell her parents all about it! After the film finished, everyone went downstairs to eat lunch and to chat together in groups about the film. Following this, Sinopec volunteers presented all students with gifts for successfully completing their quizzes. Students opened gifts of pencil cases and wooden toy animals with delight and excitedly compared and played with them. As the day drew to an end, the students were all smiles as they posed for a group photo outside the museum and headed back to their buses to return home. Sinopec volunteers gathered together to reflect on the day with ABC staff. Everyone agreed it had been an extremely successful day, and Sinopec volunteers expressed enthusiasm about their next event with ABC. On November 29th, 80 volunteers, ABC staff, DREAM students, and guests gathered at Tsinghua Middle School to celebrate the last event of the TALENT program’s fall semester: the Volunteer Appreciation Event. The evening opened with an introduction from ABC staff and participants watched two videos reflecting on the highlights of the semester. The first was prepared by an ABC staff member, Kate, and the second was a special video of interviews by volunteers prepared by a very gifted music volunteer, Song Mumei. Following this, photo volunteers presented their best work, the achievements of all volunteers were celebrated and special recognition was given to outstanding volunteers. The evening ended with an interactive discussion between Steve, the volunteers, and Tsinghua students, which gave everyone in attendance the opportunity to get an inside look at ABC International. Volunteers gained a real insight into how ABC was founded, how the organization worked and how invaluable volunteers were to the success of ABC. All volunteers agreed this was a fantastic addition to the evening and that it made them feel that they were an important part of the ABC team. Overall, the evening was an enjoyable and meaningful way to reflect on the contributions of all volunteers and the success of the TALENT program’s fall semester. On the weekend of November 22nd, a total of 622 participants comprised of 411 students, 96 volunteers and staff, and 35 guests gathered to celebrate the TALENT Graduation of children from six migrant schools. The event was a special opportunity for art, basketball, music and dance students to showcase their hard work and achievements to classmates, volunteers, friends, and relatives. Art students displayed their work in an exhibition, and everyone played an interactive game that led to a fuller appreciation of the students’ artwork. Those art students who had several pieces of work displayed felt extremely proud as they introduced their work and explained how they had created it. 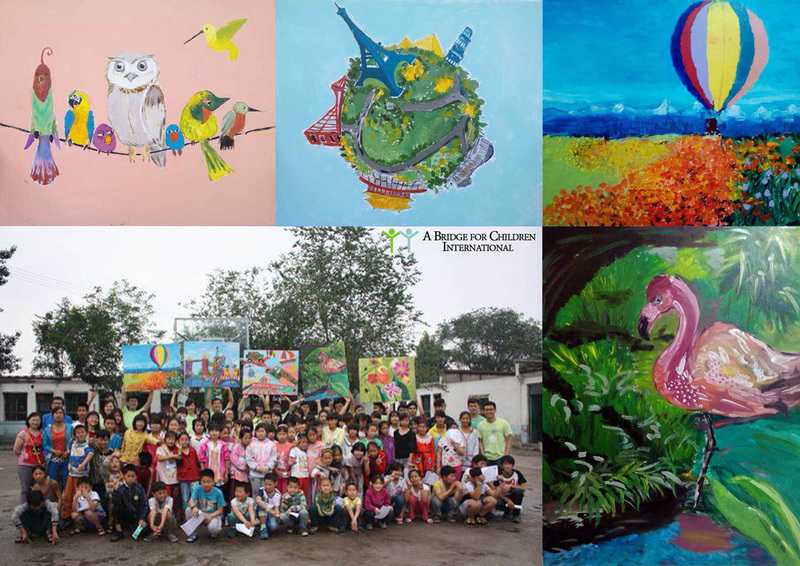 At Qinghonglan School, an art volunteer designed a special art event, where all participants could experience part of the art program by painting and drawing on a massive canvas on the wall. Music students performed a variety of songs and gave well-rehearsed performances on recorders, melodicas and percussion instruments. Dance students performed dances of different styles including Uighur traditional dance and modern dance. Finally, the activity reached a crescendo as the basketball students took part in a competitive tournament while their classmates cheered on their favorite team from the sidelines. The day ended with an awards ceremony, where the top students, the basketball champions, and the winners of the art game were recognized. Overall, the graduation was a wonderful opportunity to showcase and celebrate 10 weeks of hard work. During the National holiday week, the DREAM students and four members of ABC staff took a two-day trip to Miyun. On the first day, the group went hiking and sight–seeing around Heilongtan and on the second day, they explored Taoyuan valley. On both days, the scenery was incredible and included mountains, waterfalls and lakes. Group morale maintained high as the team encouraged each other and had jokes along the way. In the evening, everyone ate together and took it in turns to sing songs and share stories. Overall, the trip was a fantastic way to experience breath-taking scenery, enjoy time with friends and celebrate the National holiday. During the final two weeks of September, the fall semester of the TALENT program began. 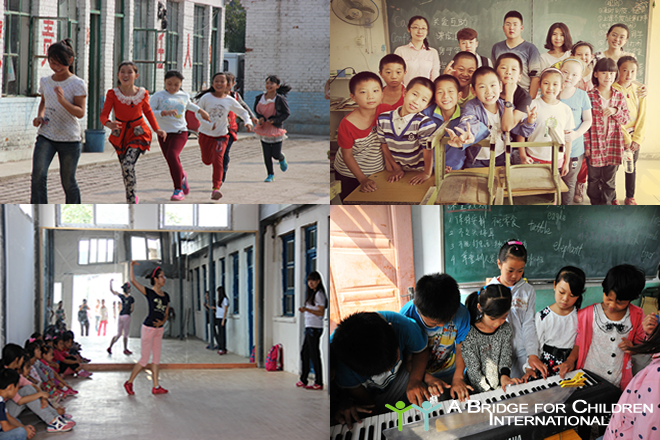 On 20th September, volunteers went to six migrant schools across Beijing to teach classes in music, dance, basketball and art. First-time volunteers were assisted by previous volunteers in class delivery and could develop their teaching skills. Students produced interesting pieces of abstract art, learned new dance moves, experimented with new musical instruments and participated in basketball drills and games. The following week, classes were even more successful; volunteers became more confident, classes ran more smoothly and feedback from volunteers was extremely positive. On 13th September 2014, 130 people from a variety of backgrounds and occupations joined together to begin their training as ABC volunteers. The action-packed training day took place at the Middle school of Beifang Jiaotong University and encompassed several different activities led by ABC staff. Music, Dance, Art and Basketball volunteers from all six schools took part in the activities, engaging in discussions and completing a range of interactive tasks. Previous volunteers came along to share their personal experiences of volunteering and give advice, allowing new volunteers to discuss any uncertainties. Volunteers were given the opportunity to teach a mock class on the importance of the 4 C’s and were given feedback by their peers. Classroom management techniques were discussed interactively and volunteers were presented with different situations and asked how they would respond. Overall, the day was informative and enjoyable for all and prepared volunteers for their first experience of volunteering at ABC. On June 1st, 510 people participated in one of the most important events of the ABC calendar – the TALENT graduation. A total of 381 TALENT program students and migrant teachers, 93 volunteers and 36 staff and guests gathered together to celebrate the graduation and to showcase the hard work and achievements of TALENT students over the year. During this action-packed day, TALENT graduates showcased their work through a Ping-pong competition, a Basketball Tournament, an Art Show and Music and Dance performances. This was followed by an awards ceremony, where the top students from each school in each activity were rewarded with prizes and the best artwork for each age group received recognition. This day was an exciting and meaningful way to reflect on the achievements of participants over the last year and to celebrate their successful completion of the program. Over 200 pieces of artwork created by the students in ABC's TALENT Program were displayed in the INDIGO Shopping Mall from April 26th to May 4th this year. 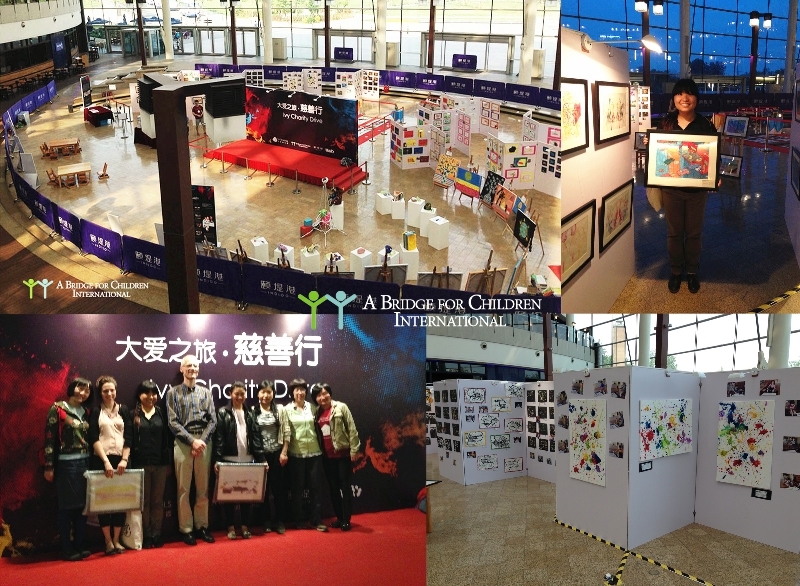 The ABC Staff along with 18 volunteers arranged the artwork throughout the exhibition for the public to view. This was a valuable opportunity to promote ABC's TALENT Program, as many friends and ABC TALENT volunteers attended the event and even purchased some of the artwork. Volunteers from Sinopec International Petroleum Exploration and Production Corporation (SIPC) came to the Pengying School in Beijing to collaborate with the ABC migrant children in a painting project. After artists had designed the walls in the morning, the 26 volunteers and 22 students painted the sketches and fully decorated 4 classrooms in the school. In order to build off of the first training session held for ABC TALENT Volunteers in March, ABC hosted a second training day, on April 12th, to further hone the volunteers' class management and teaching skills. This opportunity helped the volunteers learn how to best interact with students in their various activities and classes. Volunteers from the Harvard Beijing Club participated in ABC CONNECT Program on April 9th, 2014. The 15 volunteers partnered with 13 migrant students to discuss the similarities and differences between Beijing and Boston and helped the children form their view of their own city. The students then translated their thoughts onto canvas in paintings entitled "My City." ABC had the opportunity to work with one of the groups within SINOPEC, the largest state-run company in China, which provided both the monetary and human resources to teach ping pong to the students. The students learned the rules and mechanics of the game, and enjoyed practicing their new skills amongst each other and with the professionals. 100 volunteers were recruited for the spring program, of which 84 were able to attend the day-long volunteer training on March 8th, 2014. Participants received orientation into the 4 C's, the background of the migrant children, and the five programs that are being offered this year: Dance, Girls' Basketball, Art, Music, and Ping Pong. With a total of 92 volunteers admitted to the ABC 2013 Fall TALENT program, we ran the first volunteer training. We are preparing the second training for those who could not make the first training. See our basketball volunteers as following. On Saturday, June 29th, Discovery Channel volunteers joined students at one of the migrant schools for Discover Your Impact Day. The morning began with a silly and energetic barnyard icebreaker. After the introductions, everybody donned colorful ponchos and prepared to add a fresh coat of paint to one of the school's walls. After lunch, some of the volunteers added finishing touches to the wall, while others played games with the students on the playground. At the end of the day, everyone gathered in a classroom for some singing, some presents from Discovery and plenty of appreciation from everyone.